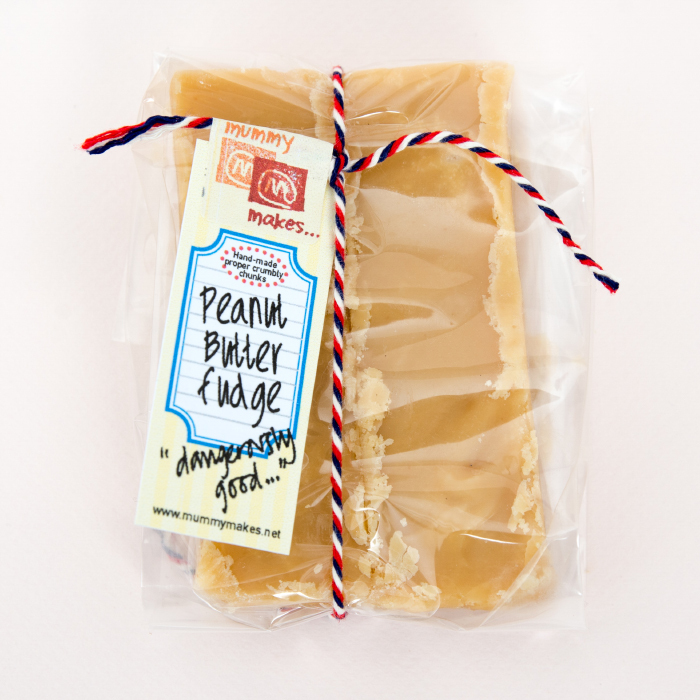 Richly delicious pieces of creamy hand cut fudge packed with roasted peanut butter. 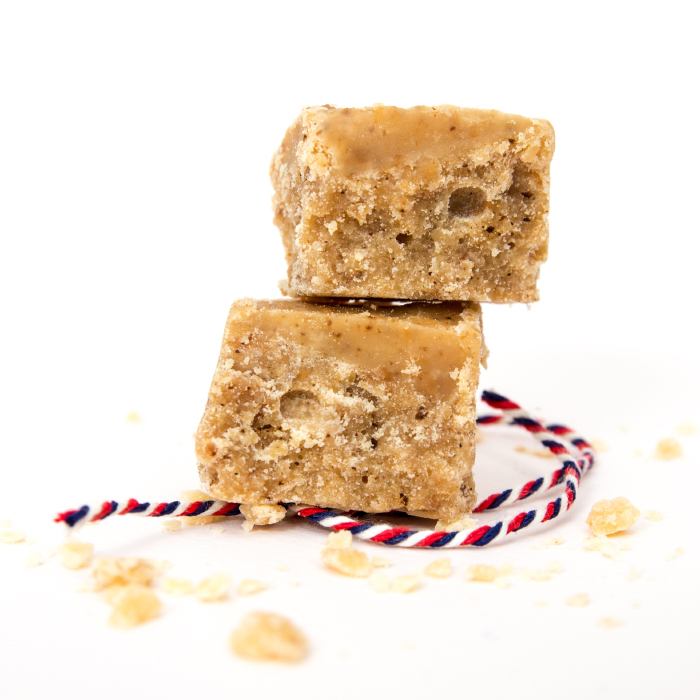 Big buttery chunks of delicious crumbly handmade artisan fudge produced in Farnham, Surrey. 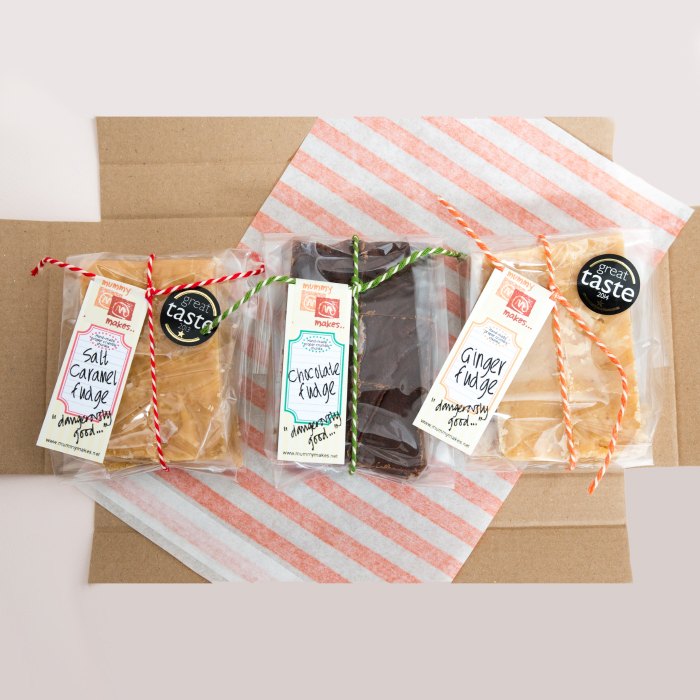 Made using local dairy butter, natural flavourings and only the finest ingredients for an unforgettable taste and texture experience. Dangerously good..
Cane Sugar, Dairy Butter, Evaporated Milk, Fresh Milk, roasted peanut butter, salt.